Well, the fiscal year ended Wednesday and again our elected officials, both in the administration and in Congress failed to fulfill their fiscal duty to create and pass a budget for this new fiscal year we have just entered. Instead they passed yet another “continuing resolution” to spend, spend, and spend with no regard to the constitutionality of what our money is being spent on or the increase in the debt burden they have placed upon us and future generations. While Congress should be putting the brakes on spending, prioritizing and eliminating unconstitutional bureaucracies, subsidies and duplicative programs, repealing unlawfully created regulations, the issues of welfare reform and immigration must also be addressed as they are huge contributors to our budget and deficit. 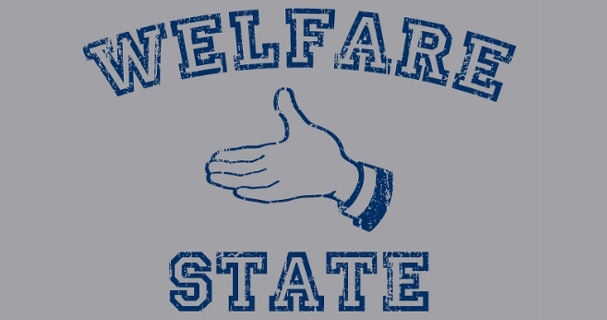 The great Nobel prize winning economist, Milton Friedman, correctly pointed out that you cannot have a welfare state and open borders as those in the lower levels of other countries will pour into the country seeking the freebies offered by that welfare system. This is precisely what we see happening today and why these two issues are so closely intertwined and must be addressed together (along with the other previously discussed steps). We had taken great steps towards welfare reform and a reduction in the welfare rolls in the 1990s’ but subsequent administrations and congresses have undone those reforms and instead broadened and multiplied the programs offered. We must return to the mindset we had in place twenty years ago, build upon it, and further work to reduce those programs and costs. If government will quit interfering in the economy so that it can grow and expand, then such programs will become less essential. As I said with the bureaucracies in a previous essay, they obviously cannot be eliminated immediately, but they too need to be prioritized, duplications eliminated, and a step-down plan put in place that will wean us from them.